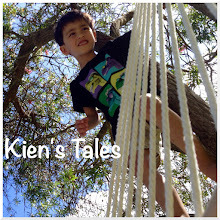 I can't believe how quickly these last couple of months has gone by for Kien being back at school...and then we will be finished with this first term! He hasn't written anything for this blog recently, so here are a couple of stories. The first he wrote today on the iPhone, and the second was written a week ago. ​Yesterday I went swimming. I went in the deep pool. First I practiced diving. Second I practiced getting into a boat safely or if I didn’t do it right the boat would sink.